Video playback does look good on the Amazon Kindle Fire's 7-inch color display, Also you will find that it handle MP4 of various types up to 1080p, which played smoothly. Other formats (like AVI, XviD, MKV etc) it refused to acknowledge, so you couldn't directly watch and play AVI videos or movies on the Amazon Kindle Fire. If you want to play AVI videos on your Kindle Fire, you will need convert them to work properly on the Kindle Fire. 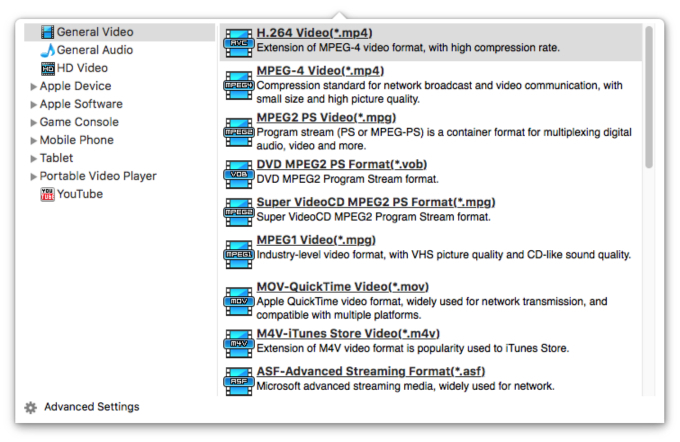 One of the easiest apps to do so is iFunia Video Converter for Mac. Which can help you fast convert any AVI to Kindle Fire MPEG-4/H.264/H.263 video format so that you could watch then on the Amazon Kindle Fire without problems. Step 1. Add AVI files to AVI to Kindle Fire Video Converter for Mac. Directly drag & drop your AVI files to the Mac app, or click the Media Browser icon at the upper right corner to import your files for converting. This Media Converter supports batch conversion, so you can add several files at one time. It saves your time and energy. iFunia AVI to Kindle Fire Video Converter has a big volume offering of output profiles for all kinds of video formats. Users may easily locate the profile by the description in comparison with their needs. Click the conversion icon to begin AVI to Kindle Fire video conversion. The converting progress bar shows you how much of the encoding is completed. That's all. You can enjoy and play your AVI videos on your Kindle Fire now. What's more, if you want your videos to be more amazing, you can set video resolution, bite rate, codec and frame rate to get perfect output videos, as well as edit the AVI video files by trimming, cropping and adding special effects and watermarks.